The main difference between the environment of Lake and river is the current, in the lakes and pools nutrients, from the microscopic to the crustaceans and forage fish are “filtered” towards the bottom of the Lake, this rain of food makes the trout shop to also go to the Fund, assuming that the oxygen content is appropriate as well as the temperature of the bed. The trout dams, which both swim as that crawl, crayfish, leech, water or scud shrimp, as well as forage fish, do not have to fight the power; the crayfish can be found around the Lake, always and when structure with access to the Bank, the same forage fish may be in several levels of depth without also having to worry about. Rivers current brings nutrients downstream and go to the pools or deeper areas where there is less current effect and they settle there. 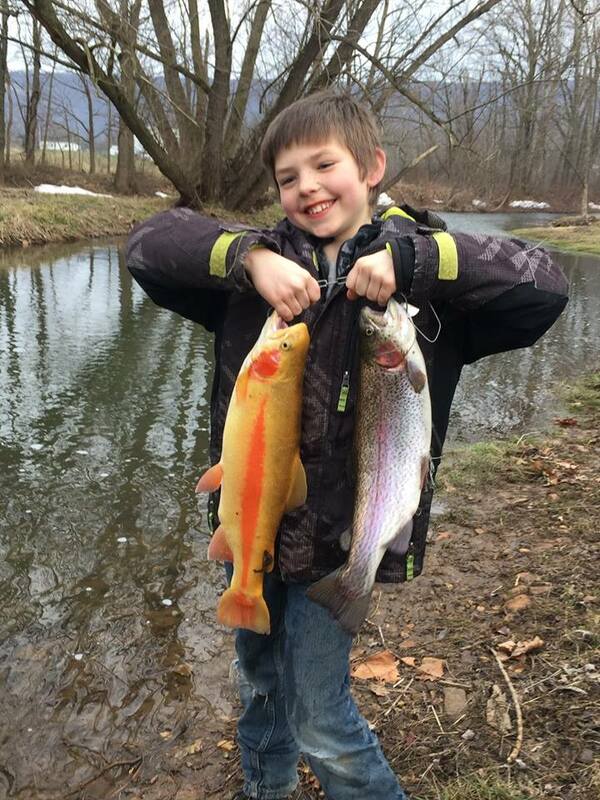 This is the reason for why the pools are critical places where trout are found. In this scenario where forage fish will seek refuge among the rocks, logs and any structure which are available. The crayfish, prawns, clams of water sweet and snails, etc., you can find them in the deep pools and shallow waters are as protected, must also take into account the enormous amount of larvae, pupae and nymphs, are the names of different forms that take these aquatic insects in their stages of immaturity or metamorphosis, as the ephemeral, better known as Mayflies , Stoneflies, Caddiesflies, etc., these immature forms that for the purposes of this book we will call “nymphs”, usually emerge from the depths to the surface for hatching, these, combined with terrestrial insects that fall into the water and are swept away by the current, make up much of the trout feed. 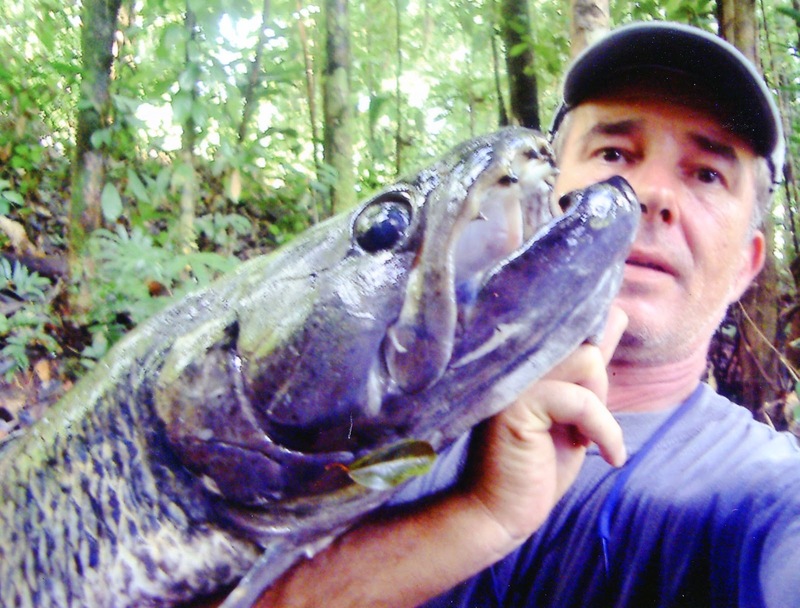 Well, it is essential that water fisherman understand very well where are these sources of food, to deal with bait, lures or flies, mimicking those prey both in coloration, size and its translation movements. The climate also affects the habitat of the rivers very differently than the Lake, since for example in winter some of them low temperature up to about 4 degrees Celsius. As at these temperatures the trout cold-blooded animals present a lethargic behavior, so do not expect that at this time the trout quickly pursue his trolling or fly, as trout will try by all means to save energy and this succeeds only attacking the dams that represent a certain opportunity by its proximity and speed of feed by what is not stalking them in the whitewater, turbulent, drops of water or whirlpools, pools already quite have that cold be fighting the current, but it it will be found in the places in which won’t need to burn energy such as behind logs and rocks, backwaters, on the benches opposite to the current , etc., where minimal resistance to water flow, that’s where you have to look for them in times of cold and if you do not have this information will be looking for trout at least indicated places. Beware the mistake of throwing his trolling or fly and work with them near the surface, since this will work later when there is more heat, but for cold water you should look first to the trout in the depths of the pools where there is less current and temperature can be higher, and you must use lures and baits that are designed to work in water slowly and at these depths.Remember that the temperature of trout vital range is between the 4 ° C, where practically ceases to feed and grow, and the 22 to 26 ° C in which dies. As soon as the water temperature rises, the trout will migrate towards the waters of more current, is this kind of waters where you will find the more oxygen, so necessary for it in the warmer months, which also means being more clear waters so will be not only more apprehensive by the transparency of the water, but also by the increase in fishing pressure , and as if it wasn’t enough in the summer time the waters will be lower, which adds salt to the wound, as it means that if in itself I was apprehensive, will now require fishermen to behave as if this was invisible so your presentation, do not panic, so avoid the noisy releases, either lure or bait will have to be impeccable your clothes the more discreet, and in colors that can be confused with the landscape, finally you will have to manage as a ghost, but on the other hand the large trout will be more accessible since they will eat more aggressively, since they will be preparing for the vigil of the cold months and the best times to fish them in running waters are the hours of the morning before dawn. Looking for gold-mining in rivers. 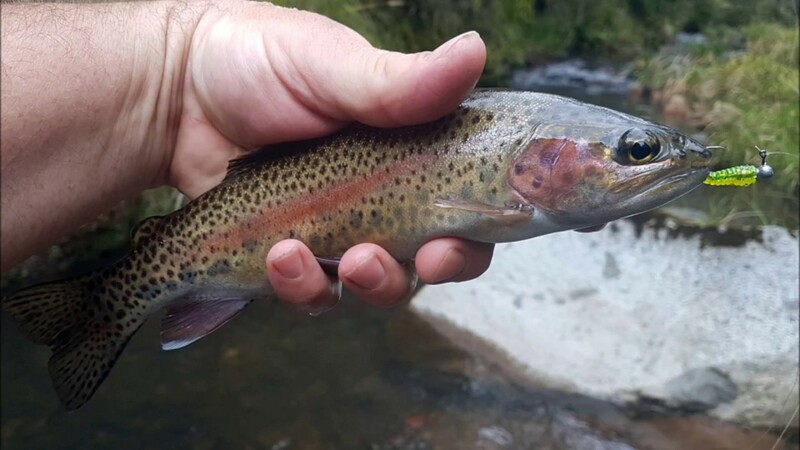 It should always seek specific places where trout are hidden and must be done from the approaches to the river or stream, is can not disregard any point and must prevent the meter to the body of water without a closer look. Many times and ironically some of the best places are where we passed, as an example are the bridges, because they provide trout of a magnificent hideaway, the pillars of bridges tend to face current, make flow to excavate the background and create very attractive pools for trout, also providing shade. Often the angler makes his fished in places of easy access and are not necessarily the best to try their luck, simply by the amount of pressure from fishing by such places are going to suffer, to avoid it, you will have to find more hidden and hard-to-access places, what you need to do is approach with extreme caution almost chest land, because as we have already said, between narrow and small sea Brook, you can more easily be warned by trout and in many places there is no sufficient weed or places to hide, but be careful when you walk in and / or on the water, because they are extremely slippery and treacherous and although bring waders, accidents can happen and if they are away from the entrances can be as scary story. Trout is almost always facing the current, this is because their food are dragged by the influx and has to intercept them over or lose them, and also because in that position the water gets through the gills with the natural pressure of the current and saves you a lot of effort to breathe, an exception is when the trout found in one pool has areas in which bags or quiet eddies are formed and calm water, then it can be technically contrary to the current face, but will continue capturing prey that bring you the current revolving, the explanation above is to give them to understand that the best way to fish in running waters is throwing up the river and leaving our offer go sliding downstream from naturally. 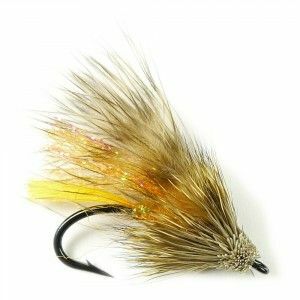 The pools are probably the best places to locate trout big and this is especially important where begins the poza, since there the water is deep and turbulent, optimal conditions for the trout giants. The base of the falls with his super oxygenated water are another place chosen by the trophy trout. Also besides the places obvious as the pools, whirlpools, behind rocks, under trunks, shaded banks, with weed hanging, or benches, there are other places worthy of consideration to find trout, as where it is observed that is white at the end of the fast water, that under white water are normally formed cavities or bags where the river or stream becomes more superficial or shallow also in the places where the current begins to become more rapid, since much of the food of trout is there trapped by currents that form. Rapid areas must be fishing upstream or downstream, although the latter is less advisable, it is almost impossible to work it through, by the force of the current, in the case of the pools it is better always to Launch upstream at the beginning of the puddle because the same current will move towards the exit offer water down and obviously passing through the center of thethat is where you will find trout, otherwise launch in the middle of the puddle can produce trout is frighten to the feel of the fall of the lure or bait on top of it or if it is also restored on it, although if other approaches do not give results, then try as an alternative cast a through. 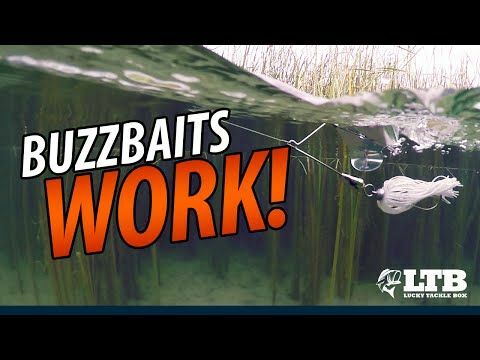 When reading a stream, the novice fisherman can that you found a good place where they launch, but to do it and do it wrong can spoil that good place and all for not doing a proper presentation. The biggest problem of a fisherman either with the team spinning or fly, is definitely the put your bait, lure or fly on the bottom and right in the pool, whirlpool, ribera, next to the rock or trunk or where has decided that it is potentially a good place, the best solution is to launch water above and leave current to drag it to where you want to get by throwing up river we have more control over our bait, lure or fly and doing it slowly allow to go more to the Fund. The secret to making its launch is done directly in the current, instead do slightly beside it, in such a way that afternoon that current catch your offer and give you time of sinking so when you catch it, you have the path walked into the background, as if it falls into the stream directly not gives you time of sinking far enough to reach the bed of the river. But when you find a pool of calm waters and long wear in the middle and on the shore and lance cast your lure or fly in the form of a range, i.e. first lance to the head of the poza and his second do it within walking distance of the first and so on until it covers the entire surface of the pond.